In addition to posting puzzles and occasionally coherent rants about my (pick one): life, wife, puzzles, wife's aversion to puzzles, etc., this blog serves as a placeholder for my other book I'm working on. It's a coffee table book that will be filled to the brim with pictures of me with red eye celebrity fans of the blog. 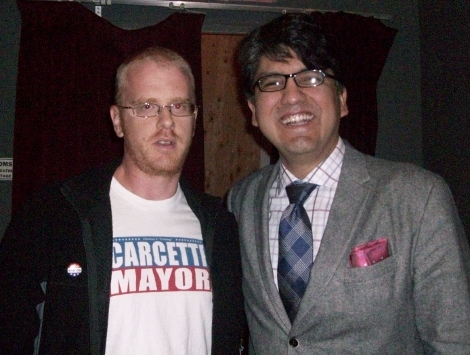 The latest entry (above) is me with Sherman Alexie. He was in town on Monday to read from "War Dances," his latest collection of short stories and poems. Well, now that I think about it, he barely read from it. Instead he riffed on just about everything ranging from Obama's lack of basketball skills to the death of the mix tape. It felt more like a stand up routine than typical book reading. No matter, he killed it. Great performer. Anyway, the short story "Fearful Symmetry" in his latest book is all about competitive crossword solving, so if you didn't know already, Sherman's one of us. Tried to make a genuinely Easy puzzle today, but didn't have enough time to give it one more solid pass to ease it up. Why? I've been asked by "McSweeney's" to make a puzzle for their next issue. I won't go into too much detail, but I'll say that it's not a crossword, it's in code, and color plays an integral part of it. It's kinda crazy. Just ask Liz, she saw how completely fucked up I was after a couple hours of working on it last night. 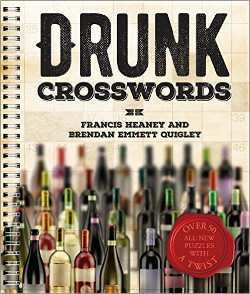 (FWIW: Ben Tausig and Deb Amlen will have puzzles in the issue as well). Finally, thanks to all who were able to give this week. As I've said before and will continue to stand by: the puzzles on this site will always remain free. Just consider if you have a little bit extra in your wallet, and you enjoyed the puzzles this month, please think about a contribution of any size. 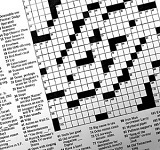 Just doing your part will help keep this site running strong, independent, and fiercely pushing crossword boundaries. As I said on Monday, one lucky donor from this week will receive a free t-shirt of their choosing.